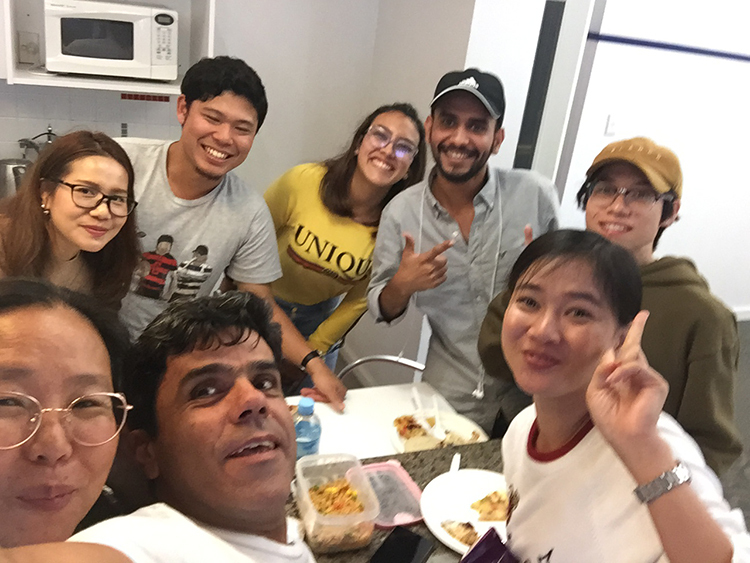 Last Thursday at Languages International we had an International Shared Lunch to honour the different cultures in New Zealand and raise money to help the victims of the attack on two mosques in Christchurch and their families. At the lunch we had a collection box for donations for the victims of the Christchurch tragedy and their families. The money raised was donated to Victim Support’s Christchurch Shooting Victims’ Fund. 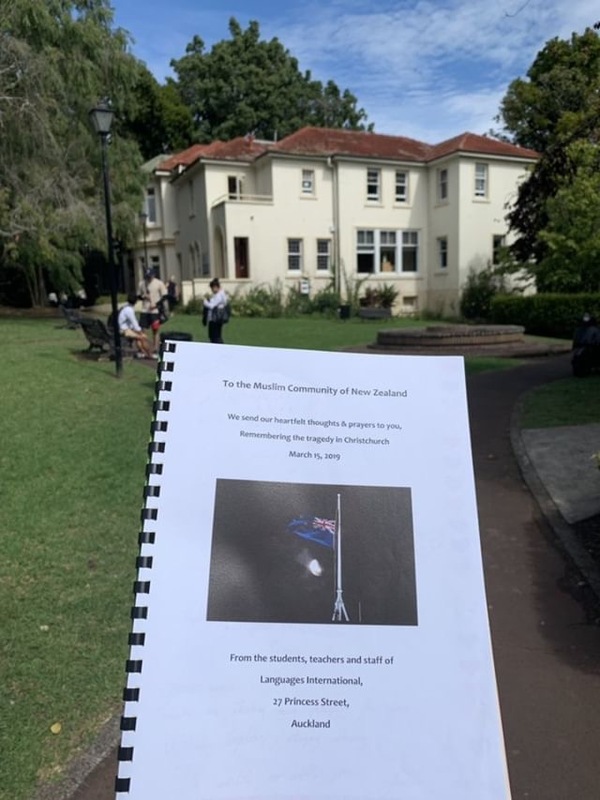 To honour the victims and their families we created a Memorial Book in which students and staff wrote messages of love and support for the families, and our wider Muslim community. 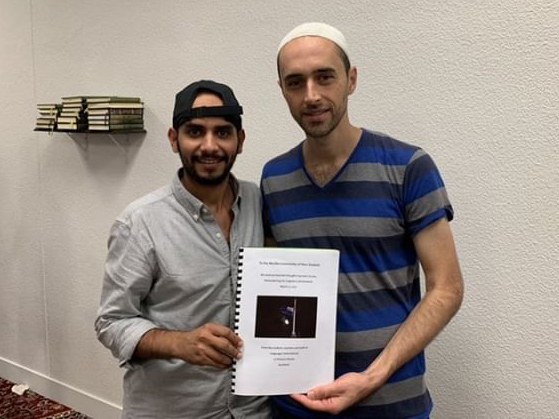 The following day our student Naif presented the Memorial Book to the Imam at our local mosque here in Auckland. 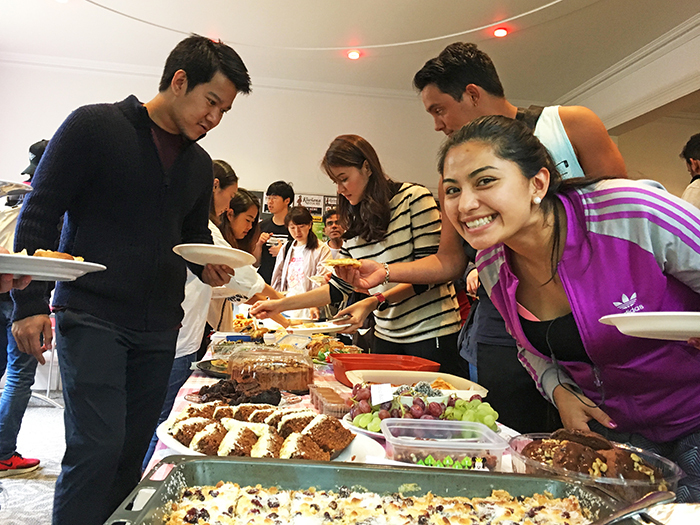 You can see lots more photos from the lunch on Facebook and Instagram.